My daughter loves a tea party. 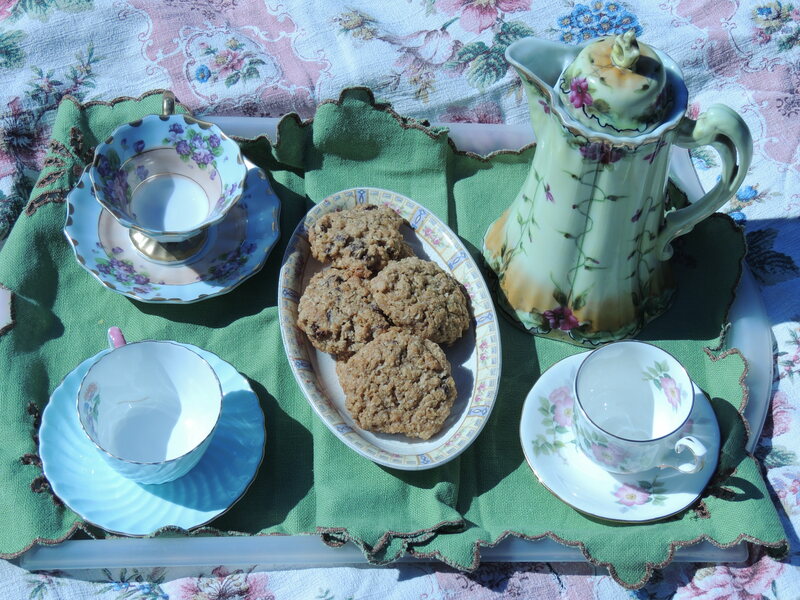 To dress up in something with lace, put a floral tablecloth on the grass, bring out the china, bake some cookies and drink tea! That is a perfect day for her. I try to do this with her sometimes, but when we have girl cousins over, watch out! She’s got it all planned out! Here are some really cute pictures of their party. Over the years, I have collected pretty tea cups and tablecloths. I inherited a beautiful tea pot from my great-great grandmother, who traveled here from France in the late 1800’s. We only get that out on really special days. Yesterday was one of those days. The sun was shining, the grass was green, there were other girls here to enjoy it. I think doing special things like this with our daughters is very important. It’s joy in the simple life. This entry was posted in Food For The Good Life, Rasing Kids for The Good Life-YIKES! Big Job., Simple Living and tagged outdoor play, tea party. Bookmark the permalink.